Another figure has emerged in the latest spate of news that has lending institutions cautiously optimistic: Home loan delinquencies are at their lowest levels in over seven years. While the overall picture is slightly murkier, the figures from this particular indicator spell real progress. The number of borrowers who are behind at least one payment (but not in foreclosure) is down to 5.7 percent, down 0.17 percent from the previous quarter after a seasonality adjustment. Year-over-year numbers are even rosier, as this figure was .71 percent higher in the same period in 2013. These figures represent the lowest numbers since 2007. Foreclosures show a similar pattern, and are also at their lowest since 2007. They also fell between the third and fourth quarters, and now stand at 2.3 percent, a .17 percent shift. Mortgage Bankers Association chief economist Michael Fratantoni attributed the shift to strong qualitative decisions by lenders, perhaps helped by loan servicing software. These programs allow lenders greater insight into the lines of credits they've issued, and help organize the payments that are coming in. "For loans originated between 2011 and 2014, you can see just how much better they are in terms of credit quality," Mr. Fratantoni told the Wall Street Journal. "Now, we're whittling away at the legacy, distressed mortgages." 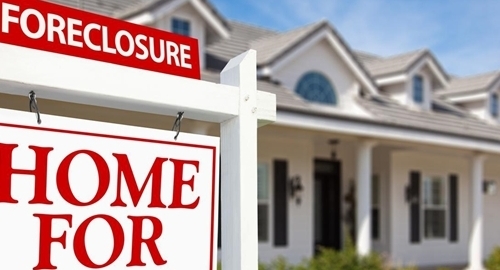 It seems, according to the Wall Street Journal, that the foreclosure issue, as a national crisis, has drawn to a close. While the problem still persists, it is now more highly limited to particular markets. In fact, just five states — Florida, New York, New Jersey, Illinois and California — comprise about half of all such accounts, indicating that on a country-wide level, things are getting better.